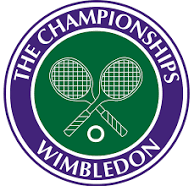 Every year the club is allocated a number of pairs of tickets for Wimbledon. The number depends on how many club members have signed up as British Tennis (BT) members and have also ‘opted in’ on the LTA website for the Wimbledon Ballot. Both are easy to do and free. Opting in does not mean that you are committed to tickets but if you do not opt in, then you are not eligible for the tickets allocated to the club. Once our BT allocation has been published, members are invited to sign up for the tickets. There is then a draw and the winning names are offered their choice of tickets in the order of the draw. In addition, we are usually allocated a few extra tickets by the Notts LTA. To be eligible for these you need to just be a BT member. Once again, there is a draw for these tickets, if needed.